Sebastian Coe, the International Association of Athletics Federations President, hailed the 182-10 Special Congress vote here in favour of constitutional reforms as marking "a historic day for our sport". Coe, who has championed the changes to governance and the creation of an independent integrity unit to deal with anti-doping and disciplinary issues since he took up his position in August last year, added: "I am incredibly proud of the decision that was taken this morning. "What I found particularly pleasing was that pretty much every Federation that took to the floor made the point that the proposals were there to safeguard the sport. "Our destiny lay in our own hands, and I think the endorsement we got today was a very, very clear declaration." Several Congress members expressed concern during the crucial morning session over the fact that there would be an open ballot in which each member’s vote was displayed on a screen and coloured green for yes, pink for no or white for a failed vote - a system that appeared to have been decided upon no earlier than yesterday evening. 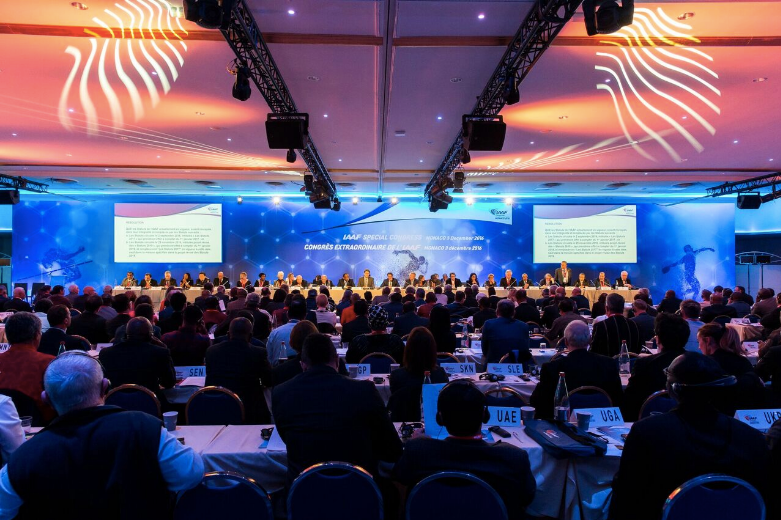 The voting method was thoroughly explained to delegates on the morning it took place and the process was tested at the start of the Congress by voting on how many members were happy to be in Monaco on the day - for the record, 186. The indications were that this may have deterred some countries - most likely less than double figures - from voting "no", although the leeway of victory was comfortable in the end, given that the required total to get over the two-thirds majority required was 132. Asked why there had not been a secret ballot on the day, Coe responded: "Because we have moved into the world of transparency." On the broad subject of the reforms, he added: "I hope the public perception of our sport is helped by what they’ve seen today. "But that wasn’t primarily why we did it. "We did it because we had a need to change." Asked if he could account for the failure of Jamaica and Ukraine – whose most famous athletics son, Sergey Bubka, was defeated by him in last year’s Presidential election but remains the IAAF's senior vice-president - to vote yes, Coe said: "I haven’t had those discussions." 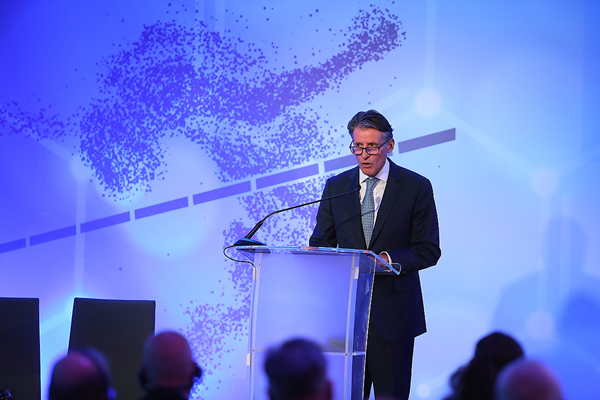 Olivier Gers, the IAAF chief executive, added that the establishment of the Athletes Integrity Unit, the most urgent of the reforms that will now come in from next year involving independent anti-doping, integrity and disciplinary functions, would be operational "as from April 3". He added: "The budget is $8 million (£6 million/€7.5 million) per year, which is double the previous level as per Seb’s commitment in his Presidential Manifesto. "We are dedicated to fighting doping and ensuring we do everything we can to create a level playing field." Coe commented: "The Athletes Integrity Unit will work very closely with the World Anti-Doping Agency and the International Olympic Committee. "At the recent Olympic Summit in Lausanne it was of comfort that the IOC President [Thomas Bach] was very keen for us to continue our work with the Integrity Unit and we have a close working relationship. "The Integrity Unit will mean a very different approach to doping test results management, removing national federations from the process, and the provision of an independent tribunal will speed up the process of sanction." Maria Clarke, the New Zealand sports lawyer who chaired the IAAF Governance Structure Reform Working Group, said that the original documentation to create the prototype reforms was "the easy part". She added: "Elements can continue to be adjusted as early as the 2017 Congress. "We have opened a conversation with Member Federations in a way that I hope will continue - this is a living document."